It's not without flaws, but the new 13-inch MacBook Pro is a solid laptop that combines a highly attractive design with snappy storage, a gorgeous display and a trackpad the size of a saucer. 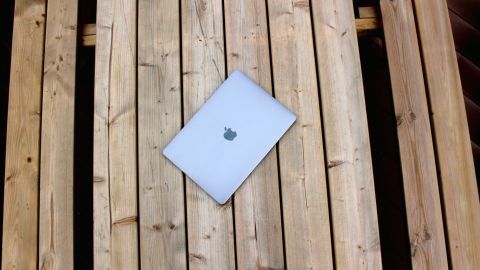 But, if you didn't like the 12-inch MacBook's shallow keyboard and reliance on USB-C connectivity, this new MacBook is unlikely to convert you. Apple's new 13-inch MacBook Pro, the version without the new Touch Bar, is a curious laptop. On one hand, the "Pro" moniker suggests that it's aimed at professionals just like every model in the line-up has been since the MacBook Pro debuted in 2006. On the other, Apple positions the most affordable 2016 MacBook Pro as an ideal replacement for its ageing MacBook Air due to the machine’s thin dimensions, similar specs and near-identical weight. This has led some people to suggest that Apple should have called this non-Touch Bar model the "MacBook Plus," or even just the "13-inch MacBook." That, they say, would indicate its suitability for on-the-go users looking for an upgrade from the 12-inch MacBook, or Air, rather than professionals who tend to require oodles of power and a platter of ports. Factors such as higher cost and longer shipping times for the 13-inch MacBook Pro with Touch Bar mean that people will inevitably take a chance on its more modest sibling, starting at £1,499 ($1,499 or AUS$2,199). The question is: can it live up to the second part of its name, or should professional users hold out for the Touch? Even without the alluring Retina Touch Bar display strip above the keyboard, the MacBook Pro is a gorgeous machine that oozes class. If you value simplicity and the tactile feel of function row keys, you may even prefer it to the more expensive model. Based on the same design philosophy as the 12-inch MacBook, there is barely any wasted space on any part of the machine. Even the area to the left and right the keyboard now houses two speaker grilles that emit loud and full-bodied sound. The new MacBook Pro measures 14.9mm (0.58 inches) thick, and is 17% thinner with 23% less volume compared to the previous generation model. It’s still shaped like a Pro, keeping the same thickness throughout the base, unlike the MacBook Air’s tapered design. It may not be the complete redesign that some were hoping for, but it's undeniably premium and solid to boot, thanks to its all-aluminum enclosure. Laptops do not receive better build quality than this. At a hair more than three pounds, the MacBook Pro weighs almost the same as the Air. Whether you’re picking it up using a single hand or slipping it into a backpack for transportation, the half-a-pound weight saved compared to the previous 13-inch Pro makes a huge difference to portability. The MacBook Pro comes in two colors: space gray and silver. The former isn’t new to Apple, but it’s the first time it’s appeared as an option for a MacBook Pro and the moody shade contrasts beautifully against the various shades of black, gunmetal silver and gray adorning the keyboard, hinge and bezel. It also matches the Apple logo on the lid, which has taken the 12-inch MacBook’s lead and no longer glows. (For shame!) If you prefer to use macOS 10.12 Sierra and its applications in Dark Mode, space gray is the natural choice. Upgrading MacBook Air owners seeking familiarity, on the other hand, will prefer the Silver option. Previous 13-inch Pros featured a healthy array of connections – including HDMI, mini DisplayPort, two USB-A ports an an SD card reader. This new version? Not so much. All of the above have been replaced with two Thunderbolt 3.0-speed USB-C connections. The multi-talented USB-C standard allows you to connect peripherals and hook up external displays to your MacBook while charging the machine at the same time. Far more versatile than USB-A and capable of much faster transfer speeds (40Gbps versus 60MBps), USB-C is undoubtedly the future of connectivity. However, Apple’s decision to only include two ports on this entry-level MacBook Pro is an unfortunate limitation, and it also positions the machine as a direct MacBook Air successor. In fact, the 13-inch MacBook is more compromised than the Air because, assuming that you want to keep one USB-C port free at all times to charge it, that leaves you with a single port for connecting devices. Want to use a mechanical keyboard and a wired mouse? Then you’re going to need a USB-C adapter that provides additional USB-A ports. Additionally, you’re only going to be able to use one high-resolution screen while charging the MacBook, which can support up to two 4K displays or one 5K panel. The answer to all of this would be a dock that charges the MacBook while adding another USB-C Thunderbolt 3.0 port capable of outputting video. Docks promising such functionality have appeared from time to time on Kickstarter and similar websites, but the only ones to have seen light of day have come with USB-C ports that support charging, rather than outputting to a high-resolution display. It would have been nice to see Apple place a USB-C port on either side of the machine too, rather than the left-hand side, as their close proximity risks there not being enough room for dongles and adapters to co-exist side-by-side. Using an Anker USB-C to USB-A adapter alongside a regular USB-C adapter, for example, is a tight squeeze and has to be pushed in with force. Much has been said about the new MacBook Pro's keyboard, which use an evolved version of Apple's Butterfly switches that debuted in the 12-inch MacBook's keyboard. Its keys possess the same 0.5mm of travel (or distance to depress), meaning that the two keyboards feel very similar to type on. However, the second-generation switches in the new MacBook elicit a subtle snap that almost feels like a very low-profile mechanical keyboard under the fingers. It’s a drastic change coming from older MacBook Pros, and has both a positive and negative effect. On the plus side, the new keyboard is a fantastic fit for the new MacBook’s aesthetic. It has allowed Apple to achieve the machine’s slim dimensions, features per-key backlighting that results in zero light bleed, and its enlarged keycaps make sense considering the MacBook’s newly enlarged trackpad. It offers a much improved typing experience over both the 12-inch MacBook and previous MacBook Pros. The switches' clicky nature allows you to settle into a more comfortable typing rhythm, and it's possible to bash out plenty of words in a short space of time. The unfortunate part is that hammering on them for hours a day, as we have been for the past week, starts to feel like a chore after a while. Typing never becomes uncomfortable, but it is curiously unsatisfying. The wobble of the MacBook Air and Pro's keys almost gave them character as you bounced from one key to the next. In comparison, the new Pro's keys are cold, harsh and calculated; undoubtedly efficient yet lacking in personality. We're confident that this could be alleviated with a little bit more travel – say, up to 1mm or even 1.5mm. For now, the keyboard is adequate, and with some minor adjustments it could go from being something that's easy to like to being easy to love.